Since have longer daylight hours, I'm trying to take advantage of doing some shorter, local hikes during the week (because weekend rain seems to be an ongoing phenomenon in North Georgia). On days I work from home, I can get out the door by 5 pm and still have nearly 3 hours of daylight. 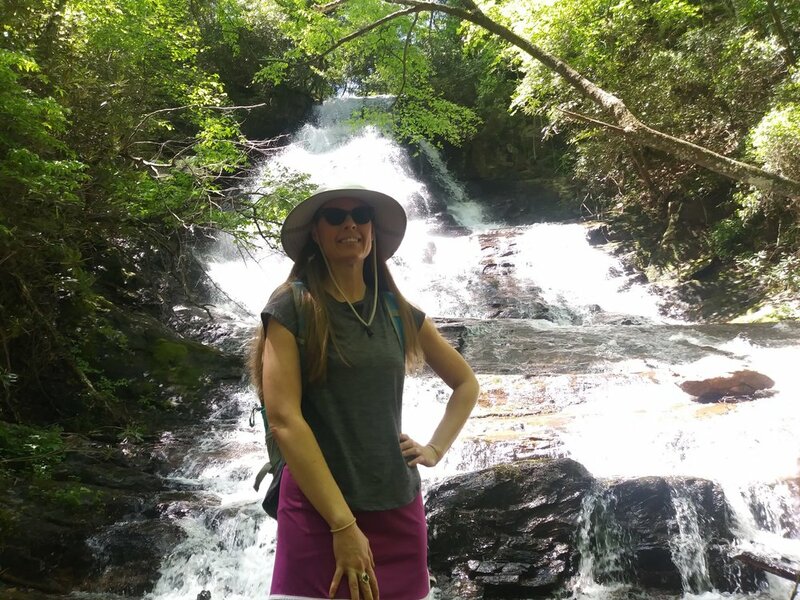 Recently, I decided to revisit a trail I'd been to once before, the Laurel Ridge trail along Lake Lanier and the Chattahoochee. James and I did this trail back in 2016 on a hot summer day after my car got totaled and I needed something to take my mind off of it (just one of the many things in 2016 that led to a sad, post-less year). I didn't remember much from that visit, other than it was extremely hot and Lake Lanier had very low water levels then. It's pretty much in the same area as all the other trails I do near Lake Lanier, so I'm not sure why I've not been back more often. 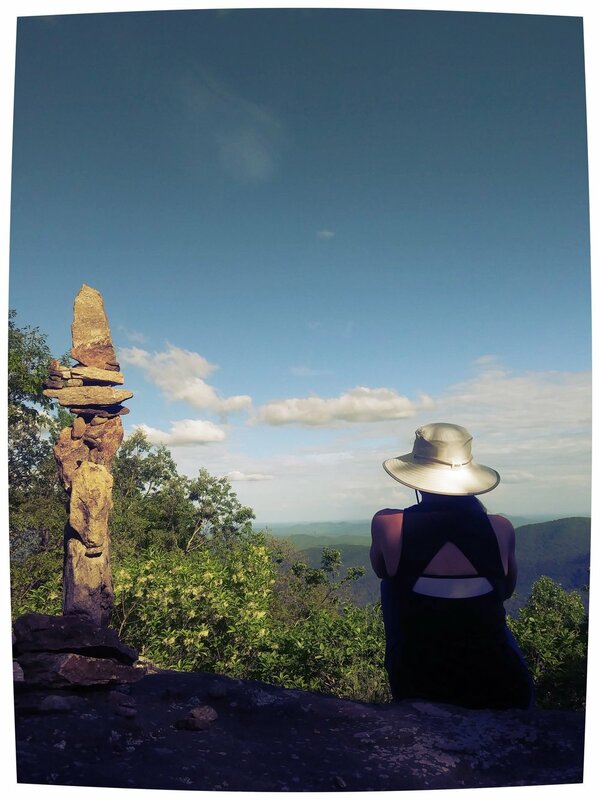 The Laurel Ridge trail is a 3.8 mile loop with several different options for beginning and ending. I recommend starting at the Lower Overlook park, because it has free parking, and from there, take the trail southeast. There are other options, such as starting at Buford Dam but then you have to pay for parking at the Chattahoochee National Recreation Area. If you follow the trail southeast, you'll go through some scenic low-lying swampy areas with boardwalks and then follow the trail along the lake for a while. Eventually you cross Buford Dam Road (always a death trap) and go into the woods closer to the Chattahoochee. The scenery changes nicely throughout the hike. The trail goes through a few different parks and sometimes crosses a parking lot, so you just have to pay attention to the trail markers. Once you get to the river, you can take the boardwalk on the left hand side to the dam and explore there or continue to the right up the Laurel Ridge trail. Keep an eye out for the goats on the dam! After leaving the river area, you'll cross Buford Dam Road again and be back in the Lower Overlook parking lot, finishing the hike. Most of the hike is relatively flat with a few hilly areas as you transition closer to the river. The scenery does change quite a bit throughout and I saw different wildflowers in different areas. I've also seen deer each time I've been here which is always a cute surprise. Since the hike isn't very long or strenuous, it makes an ideal hike or run if you only have a few hours. It took me 2 hours on the nose, with frequent stopping for pictures and exploration by the river. Despite being in town and just off the main road, I only saw a few other hikers (and it was the week of spring break to boot). One downside, since the trail is along a busy area, you can often hear traffic. 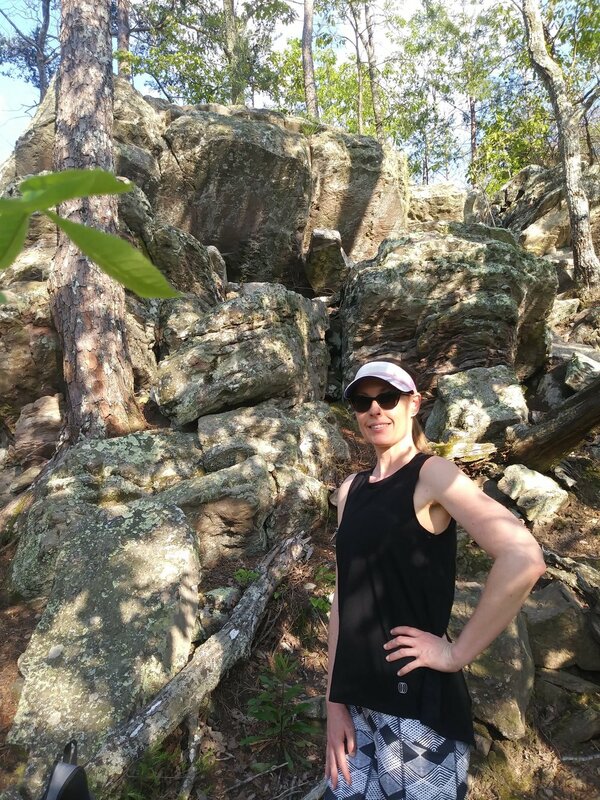 That aside, the Laurel Ridge trail is a great suburban hike and I will definitely add it to my rotation of week day hikes.